Kenneth cole Productions designs, markets and sells a broad range of men's and women's fashion footwear, apparel, handbags and accessories through 5,700+ department and specialty store locations, as well as through its e-commerce website and company owned retail and outlet stores. 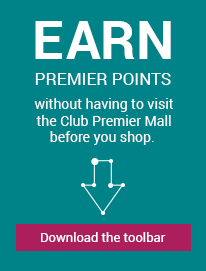 Special Terms: Member rewards not eligible for commission on purchase or edemption of gift cards & e-gift cards Purchases made offline are not eligible for rewards. Different shipping methods are available depending on the items purchased and the location to which the items will be delivered. Shipping costs are based on the shipping method chosen and the value of the order; total costs are automatically computed at checkout. If you choose to upgrade your shipping for faster delivery, your order must be received and clear credit authorization by 2 p.m. ET or it will not be processed until the following business day. Kenneth Cole collects sales tax on online orders when applicable. Please note that on-screen order totals reflect estimated taxes. The actual charge to your credit card will reflect actual applicable state and local taxes calculated at the time your order is shipped. We accept Visa, American Express, Mastercard, Discover, Kenneth Cole gift cards, PayPal, Apple Pay* for online purchases. We will gladly accept returns of new and unworn merchandise within 30 days of the delivery date, accompanied with the original receipt. All products should be in pristine condition with products tags attached and in the original packaging, whenever possible. We offer free returns, so please use the prepaid shipping label to ensure you do not incur additional charges. We do not offer free returns or provide shipping labels for international orders due to customs regulations. We reserve the right to refuse returns that are not in pristine condition or are returned after 30 days. We do not accept returns or exchanges on "final sale" merchandise.